More on the AVF Eco-Mount All-in-One TV Mount (37-60 Screens) with Component Shelves ESL822B-T below. 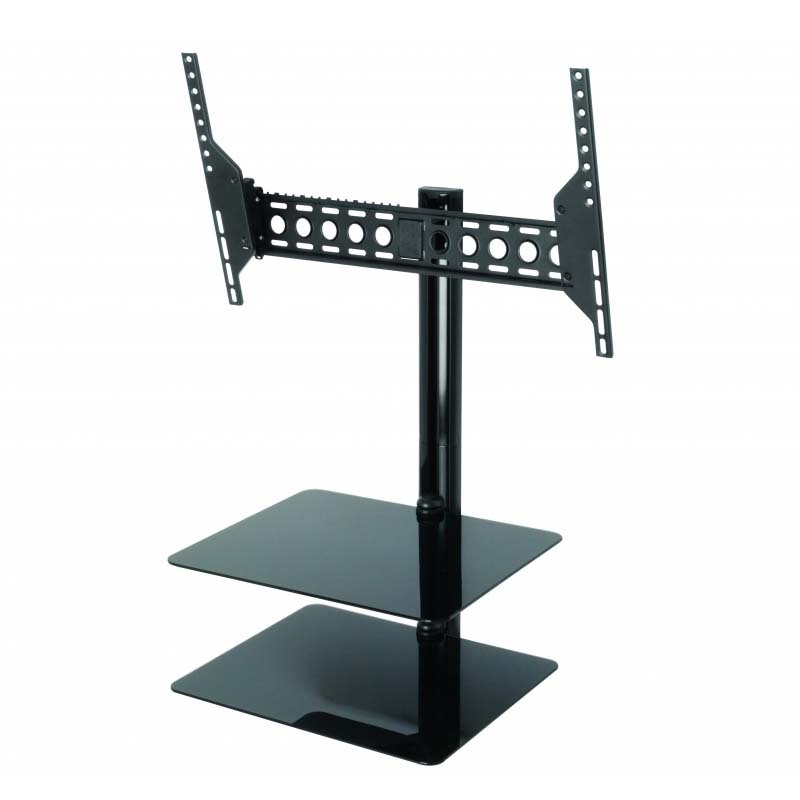 The AVF ESL822B-T Tilt and Turn TV Mount with AV Shelvings for 37-60" Screens for Flat Panel TVs and AV Components. It supports a TV weighing up to 99 lbs and 22 lbs per shelf. It is VESA compatible with hole patterns 75x75  600x400mm. allowing you to move the mount and the shelving in tandem from left to right, and allowing TV viewing from multiple angles of a room. 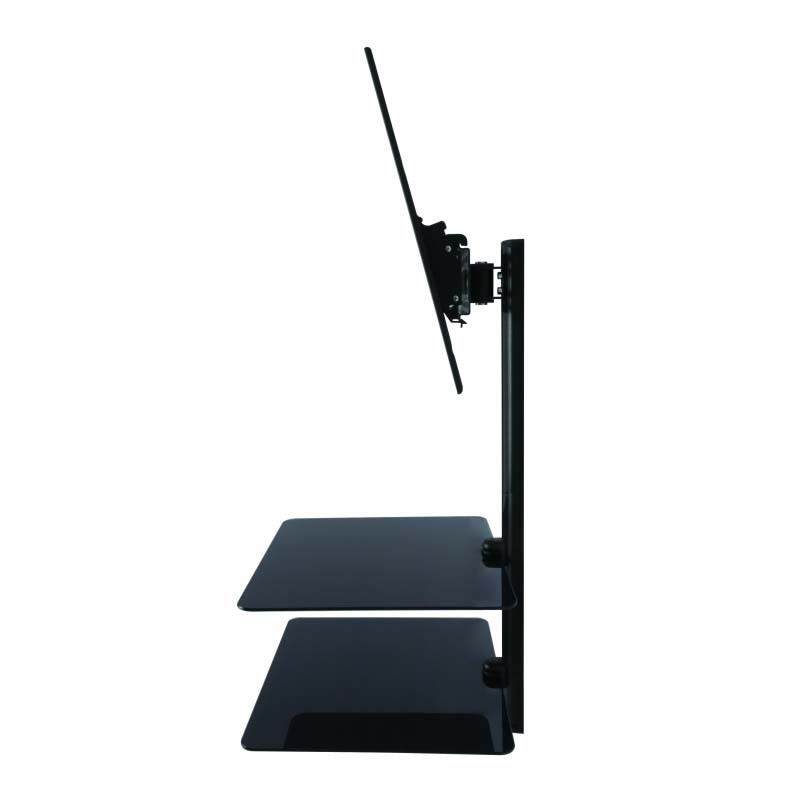 It also tilts down to 15 degrees to provide better viewing angles and to reduce glare. Not only does it save valuable shelf space, but it also safely secures your TV and AV components to the wall preventing them from accidentally tipping over.